Florida has two separate laws designed to help those in need of treatment and/or stabilization as a result of mental health or drug/alcohol addiction issues. They are very separate and distinct laws, but now, a new facility serving eight Northern Florida Counties, including the Tallahassee area (Leon County), known as the “Apalachee Center”, will serve as a reception center and receiving facility for both mental health patients under the Baker Act as well as continue to receive and house the only detox unit and receives all Marchman Act patients in the area. Although the new combined use for this facility joins both the Baker and Marchman Act “under one roof”, it is important to understand the differences. First of all, the Baker Act is a law that allows someone to be placed in a protective facility for up to 72 hours to stabilize a mental health issue only. The Baker act is NOT a vehicle to force someone into stabilization and/or treatment for a drug or alcohol addiction. The significant limitation of the Baker Act, unlike the Marchman Act, is that it only provides for a maximum of 72 hours of supervision in a locked facility. The Marchman Act, on the other hand, is a much more powerful law than the Baker Act because the Marchman Act provides first a period of 5 days of mandatory detoxification and/or stabilization to be followed, if recommended as being necessary, a 60-day period of court ordered treatment either in a residential facility or an outpatient setting, depending on the specific recommendations of the treating health care professional at the detox center. In addition, under the Marchman Act, it is possible to have the 60-day period of mandatory treatment extended up to an additional 90 days, if the respondent still is unable to appreciate the need for care as a result of their addiction and is still a risk to themselves or others as a result of their drug or alcohol addiction. Robert E. Gluck, a former drug court prosecutor in Miami-Dade County, now handles Marchman Act cases in all the counties covered by the Apalachee Center, to include cases in Franklin, Gadsen, Jefferson, Leon, Liberty, Madison, Taylor and Wakulla Counties. 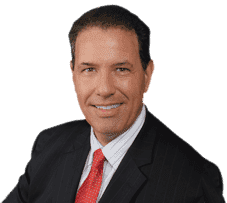 In addition, Robert Gluck has handled Marchman Act cases throughout Florida and has appeared in Hillsborough County, Pasco County, Lee County, Collier County, Palm Beach County, Broward County and Dade County just to name a few. 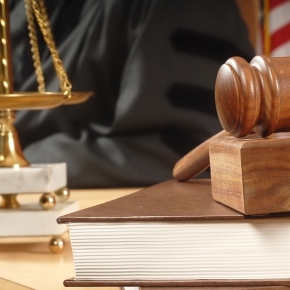 It is important to hire a Marchman Act lawyer for drug or alcohol addiction issues and to NOT confuse the Marchman Act with the Baker Act because usually, there is not much a lawyer can do to assist a family under the Baker Act. Robert Gluck and his law firm looks forward to working with the new Apalachee Center, now opened as both a Baker Act and Marchman act centralized receiving facility. Mr. Gluck can help you or your loved ones with a Marchman Act filing anywhere in the State of Florida so just send him an email at robert@robertgluck.com or if an emergency, call him on his cell phone any time at (954) 895-7455.